Spc. Ricardo Cerros Jr., 24, was killed by enemy forces during a heavy firefight while conducting combat operations in Logar Province, Afghanistan. He was mortally wounded as he fought against enemy insurgents barricaded in a compound. 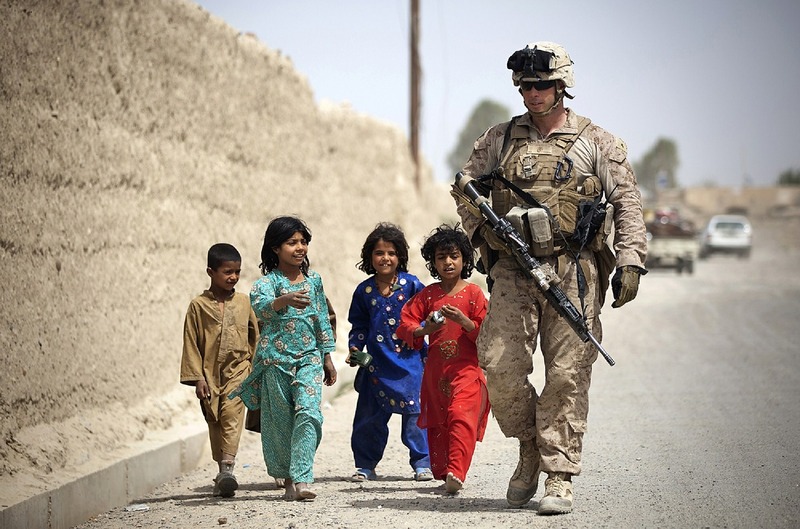 deployment to Afghanistan in support of the War on Terror. Specialist Cerros was born Nov. 2, 1986 in Fort Ord, Calif. After graduating from Everett Alarez High School and the University of California, Irvine, he enlisted in the U.S. Army in July 2010 in Los Angeles. Specialist Cerros completed One Station Unit Training at Fort Benning, Ga., as an infantryman. After graduating from the Basic Airborne Course, he was assigned to the Ranger Assessment and Selection Program at Fort Benning. 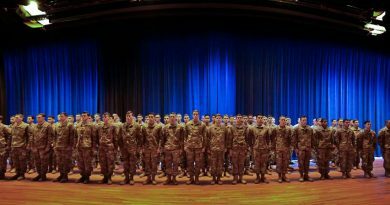 Following graduation from the Ranger Assessment and Selection Program, Cerros was assigned to B Co., 2nd Bn., 75th Ranger Reg. 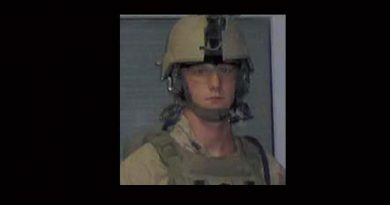 in March 2011, where he served as a Ranger rifleman. His military education includes the Basic Airborne Course and Ranger Assessment and Selection Program. 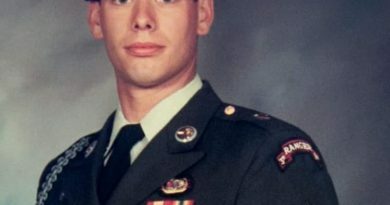 His awards and decorations include the Parachutist Badge and the U.S. Army Expert Rifle Marksmanship Qualification Badge, National Defense Service Medal, Global War on Terrorism Service Medal, and Army Service Ribbon. 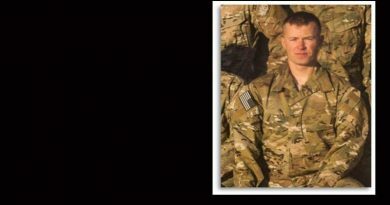 He was posthumously awarded the Purple Heart, Combat Infantryman’s Badge, the Afghanistan Campaign Medal, Joint Service Commendation Medal, Army Commendations Medal, and the Joint Service Achievement Medal. 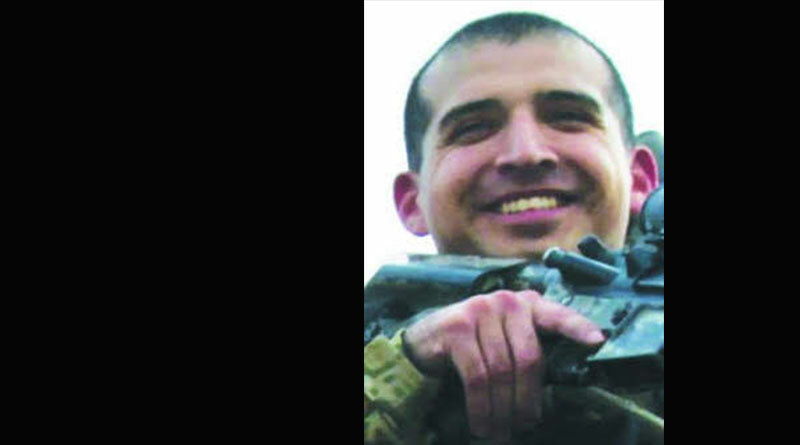 Specialist Cerros is survived by his father Ricardo Cerros Sr. and stepmother Deborah A. Cerros of Salinas, Calif. and his mother Maqueirte D. Cuevas of Gary, Ind. He is also survived by his brothers Nicholas and Marko Cerros, and sister Theresa Cerros, all of Salinas. As a Ranger, Cerros selflessly lived his life for others and distinguished himself as a member of the Army’s premier direct action raid force. 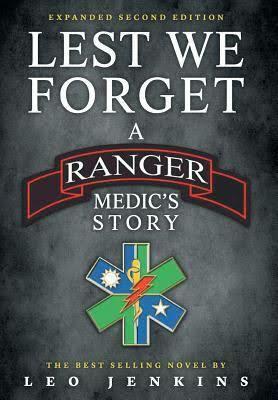 Cerros fought valiantly as he served his fellow Rangers and our great Nation.